GEAI volunteer Olga (centre) with local children enjoying themselves at the Belcoo camp. GEAI members provided photography and technical support to campaigners against fracking in Fermanagh on Global Frackdown Day celebrating the recent decision to terminate exploration licences held by Tamboran Resources. 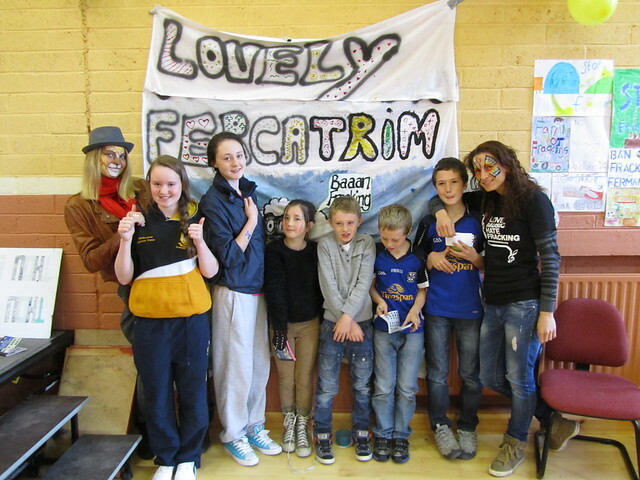 In Mullaghdun Community Centre, organised by Claire McGuire and friends, activities for children continued during the day, including face-painting, arts and crafts, an exhibition of posters done in schools and prizes for the best artwork. Olga from Ukraine, one of our EVS volunteers, was the designated photographer throughout the day. In the afternoon, at the Belcoo campsite, a BBQ was organised with music and a pig on a spit. The weather was wonderful and all enjoyed the event. That evening, there was further entertainment in Mullaghdun with presentations, videos, several bands and harpists, recitations and the dance against fracking performed by local children. The whole day was a great success and allowed everyone to celebrate the success of the campaign to date. A note of caution was struck by committee members who warned that “fracking has not gone away” and that further challenges can be expected. 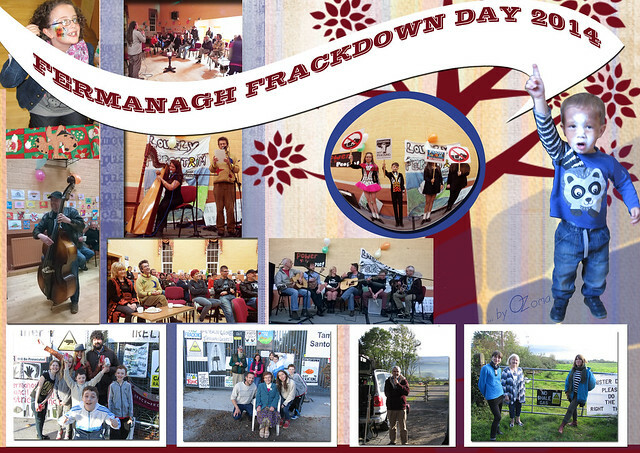 At the Frackdown Day celebrations in Mullaghdun Community Centre. More pictures on our Flickr.